Screen-print collage, for charity art auction, 2015. Detail, Screen-print collage, for charity art auction, 2015. Website banners for private commission, layered animation. 2008. 'Foliage Series' screen-print, private commission, 2007. 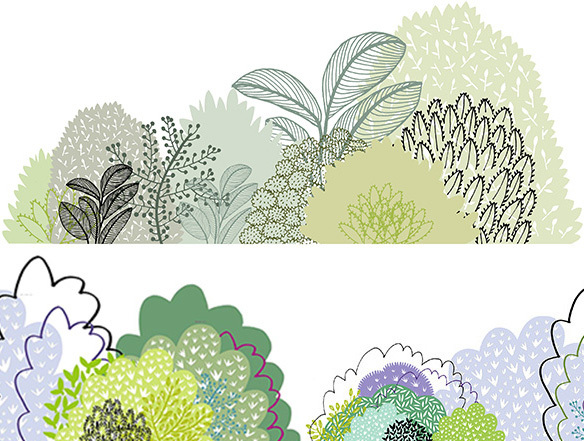 Detail from 'Foliage Series' screen-print, private commission, 2007.